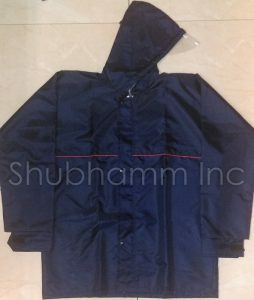 Reversible jacket is different in its own league. This jacket can be worn both side, the top fabric is water proof taffeta fabric, with thread counts of 184T, available in more than 40 different colours. The inner fabric is thick polyester PVC feel fabric, available in colours like black, brown and navy blue. 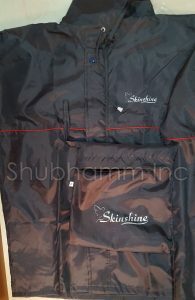 The sizes manufactured are L, XL and XXL. 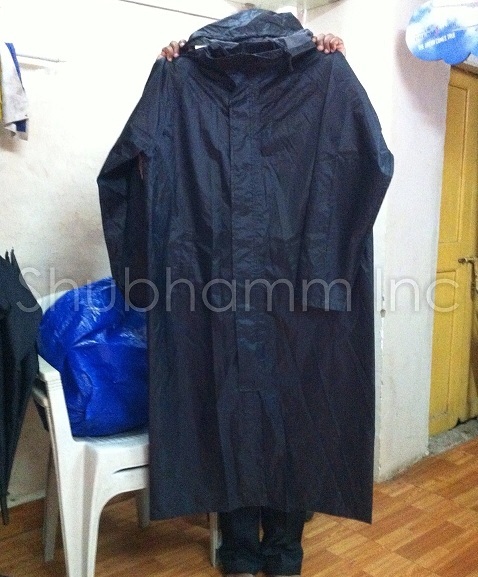 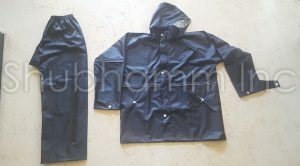 Customized size is also possible in Reversible Raincoats. There is a same fabric pouch with the raincoat pair to fold and keep it properly. 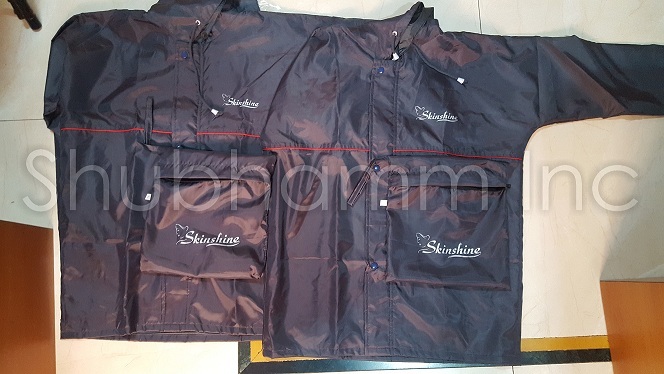 Single colour branding on the pouch as well as on the jacket is easily done at our unit. 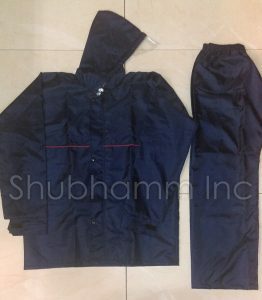 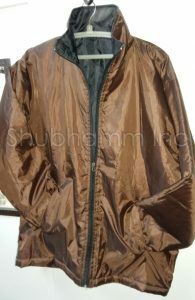 Reversible raincoats are also termed as Two In One Jacket, Multi Use Jacket, Promotional Raincoat, Customised Raincoat, Promotional Windcheater.